“When Beep sounds, allow a Natural Pressure Release. 15 minutes is good. If you plan to be away longer, drop the cook time to 1 minute. 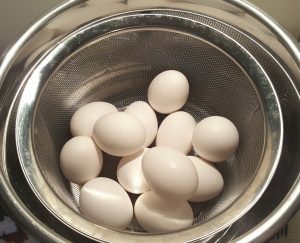 This entry was posted in eggs, instant pot, instant pot recipes, recipes, sides and tagged appetizers, eggs by admin. Bookmark the permalink.